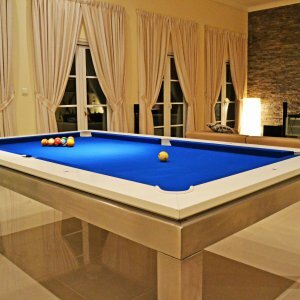 Categories: modern, Pool&snooker, Riley, traditional/standard. 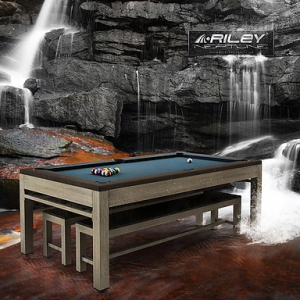 Inspired by nature, crafted with traditional values and delivering a state of the art playing experience, the Riley Ray, designed to mimic the flowing curves of a manta ray, is one of the most stunning tables that we have ever produced – One that will be at home in even the most opulent environment. 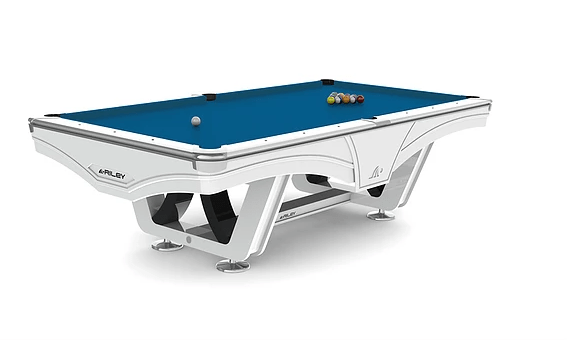 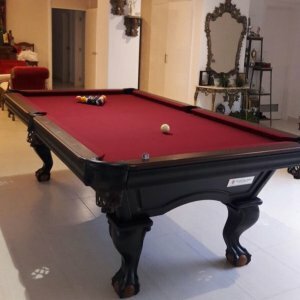 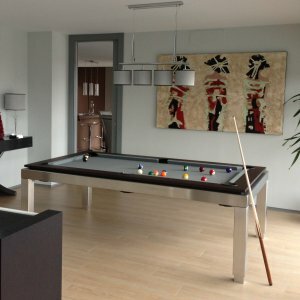 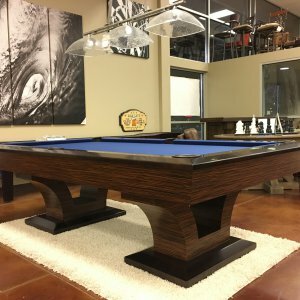 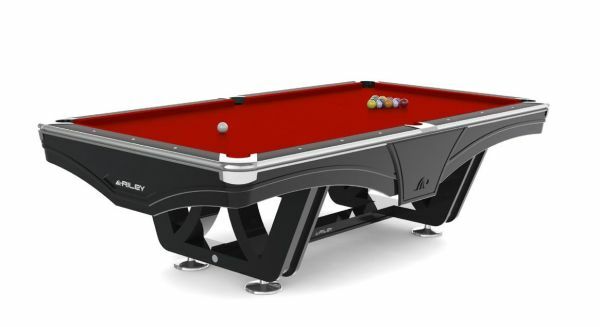 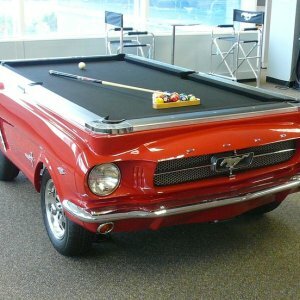 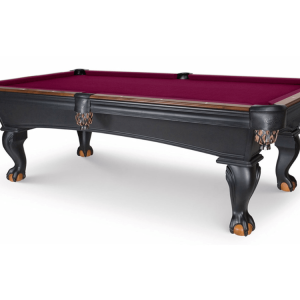 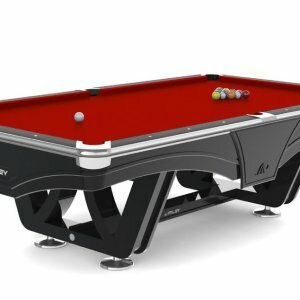 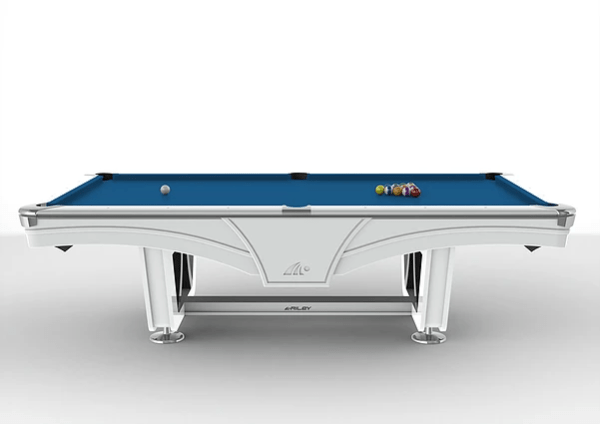 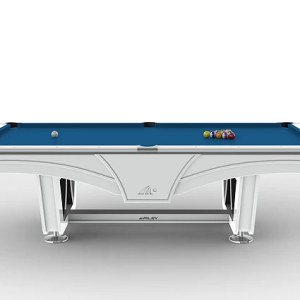 The Riley Ray American Pool Table is manufactured using production methods that Riley have developed continuously over more than 100 years. 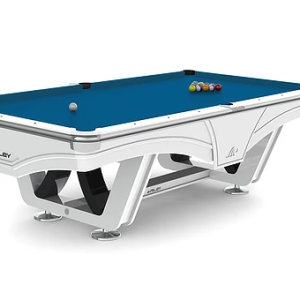 The same attention to detail, quality and precision, but combined with cutting edge design that makes this table the perfect choice for the serious player with an eye for contemporary style. 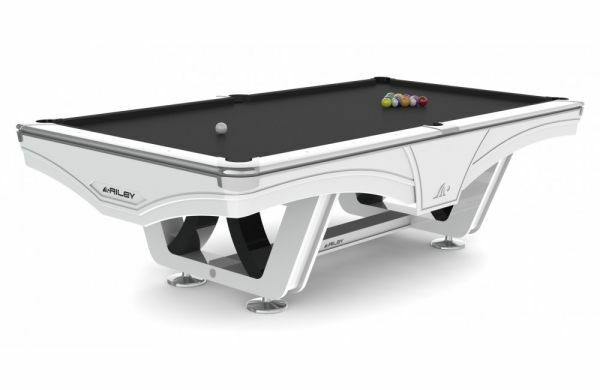 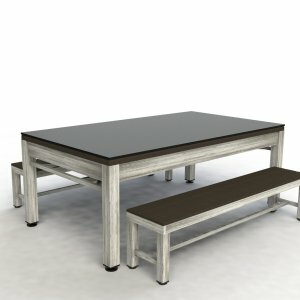 Available in 8ft to 9ft and a choice of white or black finishes. 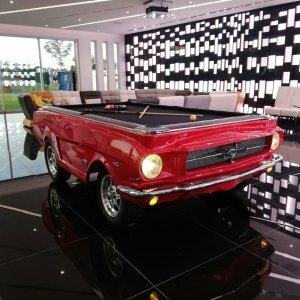 Riley K55 Series Cushion Rubber. 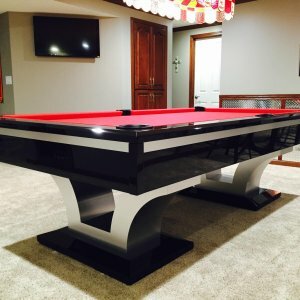 Modern Aluminium Trim & Engraved. 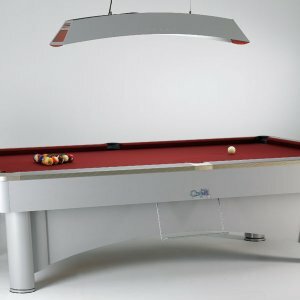 American Pool tournament cut slate. 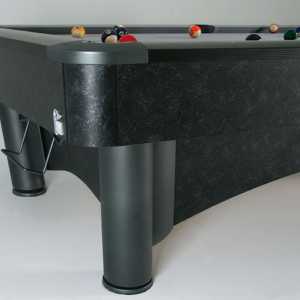 1” (2.5cm) 3 Piece Slate. 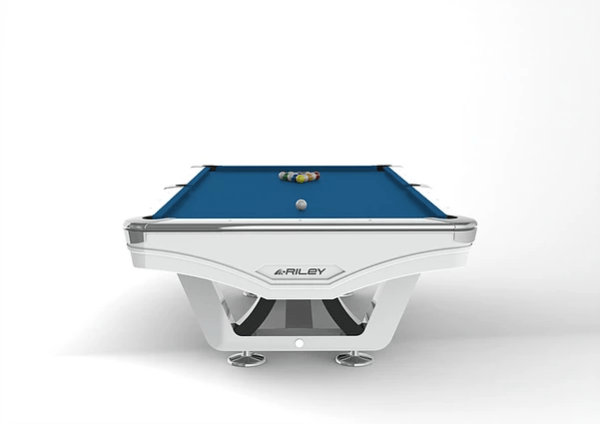 Ply Wood Internal Frame Construction. 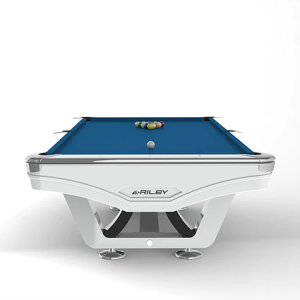 Riley Integrated Slate Levelling System. 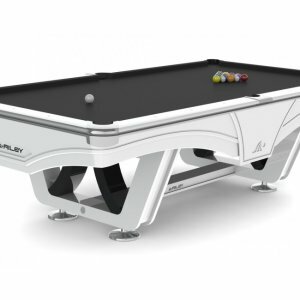 Available in satin white or satin black.